Hello friends! We are already knee deep into February with Valentine's Day on our heels. 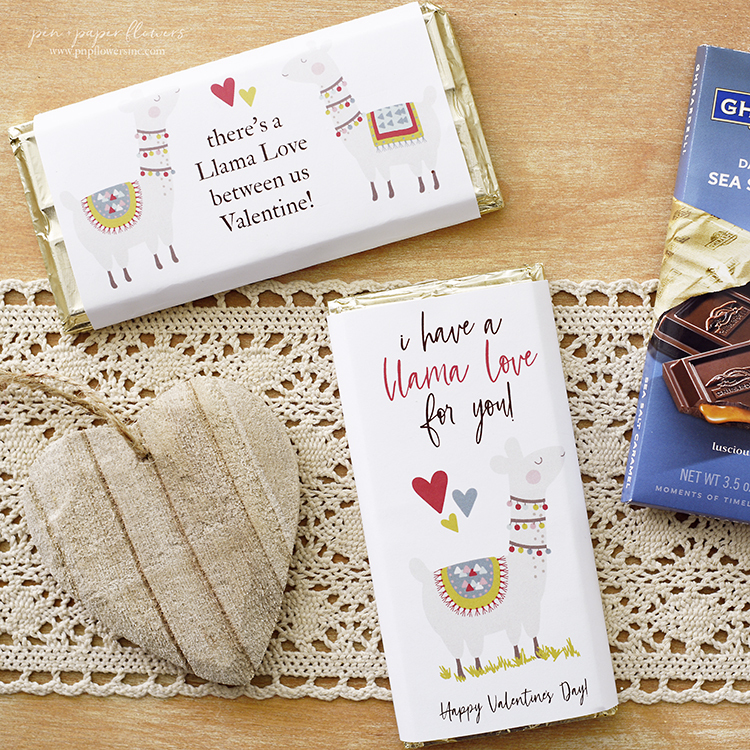 Today I'm sharing these super cute and super easy "Llama-themed" Ghirardelli bar wrappers to be given to anyone on your Valentine's Day list. 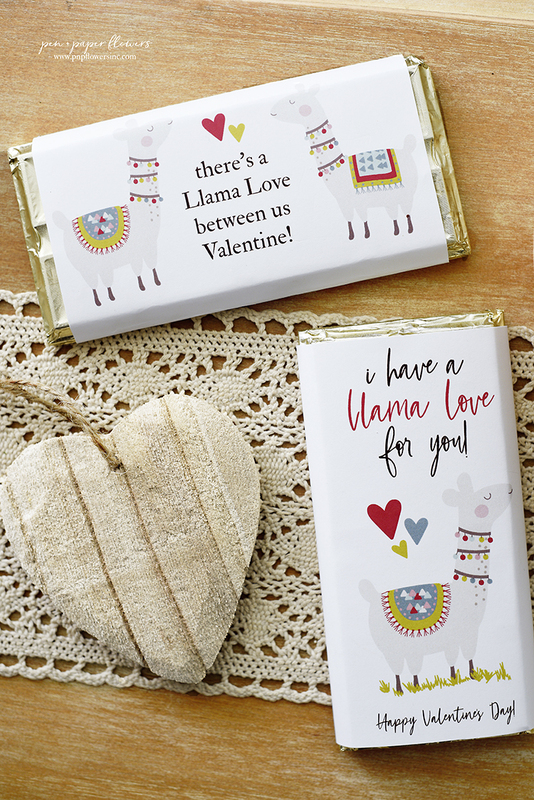 Print Llama Candy Bar Wrapper. Trim to size using scissors. 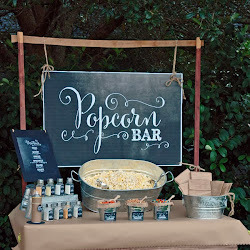 Wrap around candy bar aligning image on front of candy bar. Secure with double-stick tape on back of candy bar. 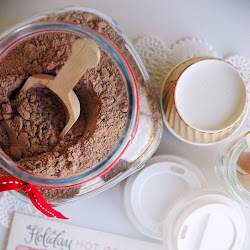 Tip: For a polished look, rub fingers along edges of candy bar for clear wrapper "creases". 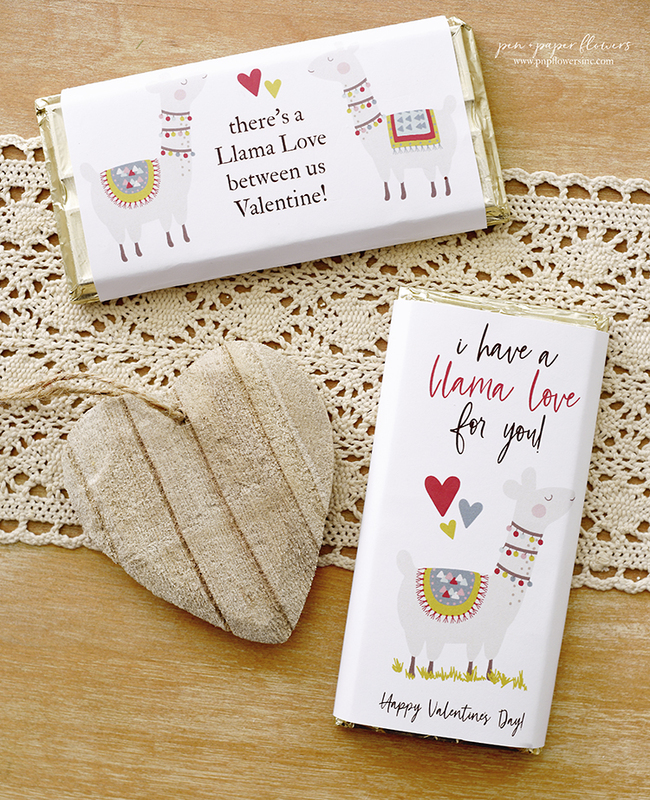 A "llama love" went into designing these for you guys! Hoping you love them and most importantly....USE THEM! Here's a fun time lapse video I shared on Instagram sharing the whole process of putting one of these together - hopefully you can view it okay here on the blog. 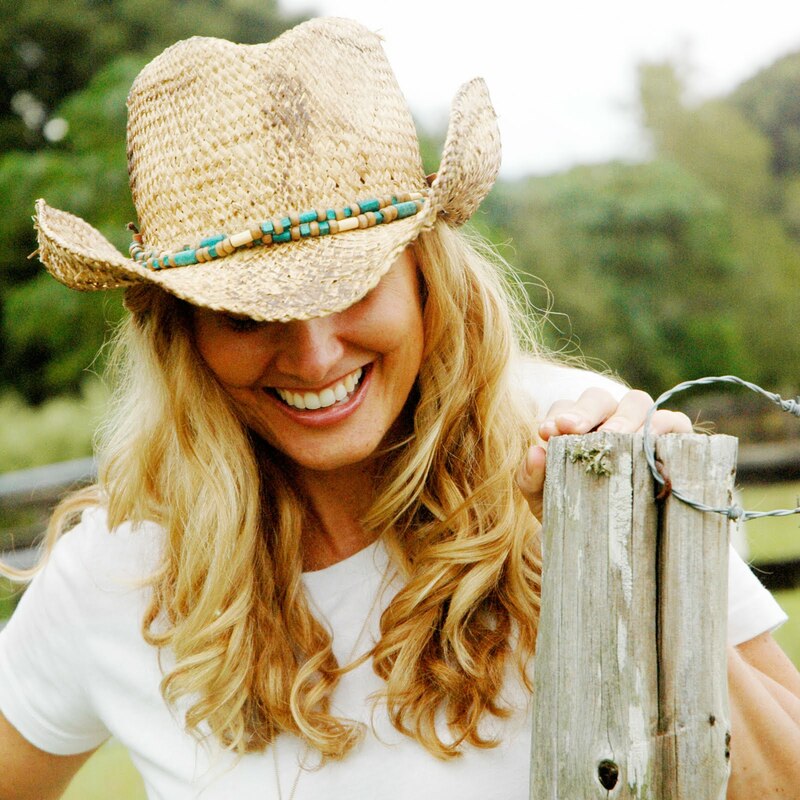 I have a Llama Love for You - Happy Valentine's Day! Stay tuned for some classroom treat tags coming tomorrow! 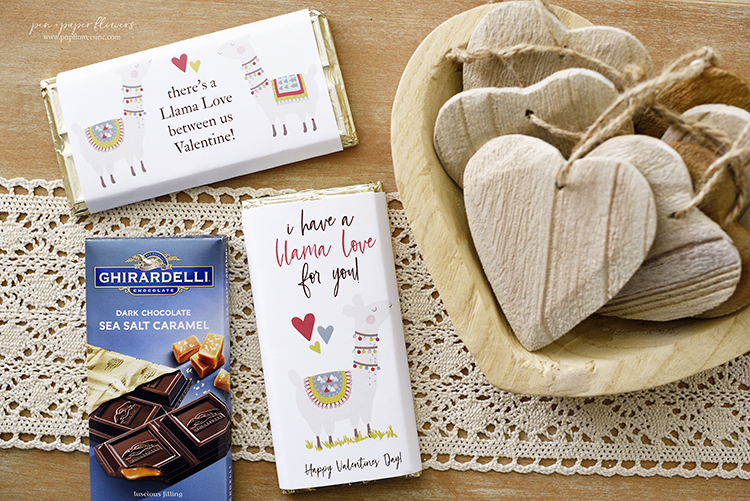 PS - If you love the idea of the Ghirardelli wrappers CHECK OUT THESE! Ella has been down with a virus for a few days now so I apologize for not getting these photographed and up on the blog sooner! !